A Prince Tribute Show will be headlined by The Purple eXperience Band (a collective of musicians who are part of the RnB /Gospel band Revere and the Top 40s/RnB band Mischief. Performing hits from throughout Prince’s incredible music career. 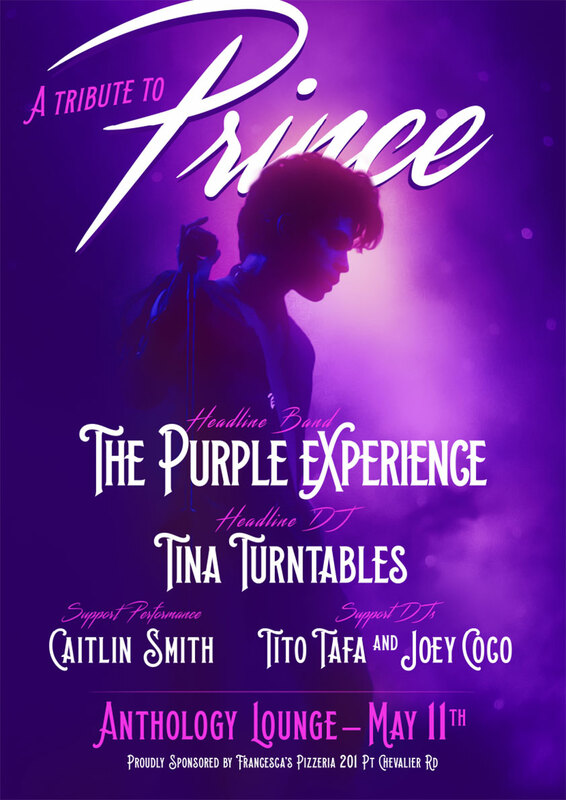 Also featuring Dj's Tito Tafa and Joey Coco along with special guest DJ Tina Turntables who opened for Prince at his last Auckland performance. Special guest singer-songwriter Caitlin Smith will also pay tribute by singing a selection of her favourite Prince songs on the baby grand. Come along for a magnificent night of everything PRINCE related including Art, Purple VIP booths, Video, themed cocktails and dancing till late. Dress to impress for your chance to win great prizes on the night. Join the revolution and let’s go crazy!